“Operators in African countries such as Tanzania benefit from being able to leapfrog legacy systems and can directly adopt NFC for their customers,” says the mobile network operator. 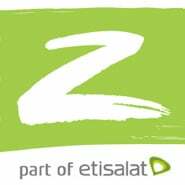 Africa’s first commercial NFC payments service has been launched in Tanzania by Etisalat subsidiary Zantel. The new service is called ‘Touch and Go’ and is designed to build on Zantel’s existing and rapidly expanding zPesa mobile financial service. Zantel’s customers in Tanzania can already use zPesa to perform person-to-person money transfer, merchant/utility payments or banking services from their mobile phones. “Touch and Go is new, innovative and ideally suited to customers that want to use the technology to complement the existing experience and also to people who will use the service as the sole means of generating an income for their families,” Essa al Haddad continued. “Operators in African countries such as Tanzania benefit from being able to leapfrog legacy systems and can directly adopt NFC for their customers,” says Etisalat. “In addition to ‘wow’ effect associated with Touch and Go, the new service addresses issues of consumer literacy and education, which represent a major challenge for the take-up of new services especially in the rural communities. Touch and Go’s easy to use interface will enable everyone to enjoy convenient payment services and participate in entrepreneurial activities within their own communities.